207 E Park Ave - where the history of old Greenville meets the new, forward-moving, vibrancy of Downtown Greenville, SC. 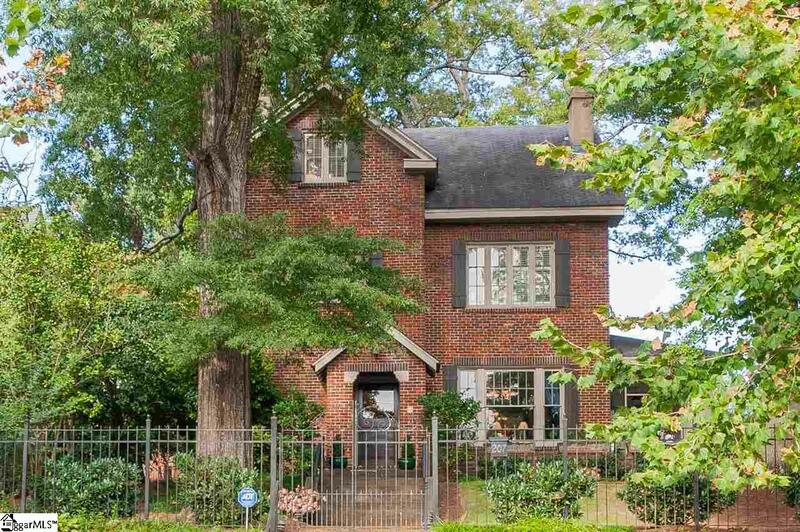 Beautifully updated, historic, brick home located in the East Park Historic District of downtown Greenville, South Carolina. Walk to Main Street restaurants and boutique shopping, local music halls, or catch the trolley (on E Park Ave) to take in a baseball game in the West End. The immediate neighborhood is on fire with new development and retail opportunities such as the new, under-construction Harris Teeter - only a 10-min walk. Cross the street to the "currently being improved/renovated" McPherson Park for tennis, mini-golf, playgrounds, and leisurely strolls. This large, three-story, open floor plan home features 4 large bedrooms, 3 oversized bathrooms and a 1/2 bath. Original details throughout including hardwood floors, 3 fireplaces, period woodwork, handsome pocket doors and light fixtures. Ceilings on main floor are 12 feet, second floor 10 feet and third floor 8 feet. Expansive windows throughout home. Kitchen is equipped with stainless steel appliances, including double ovens and large farmhouse sink. Sunny breakfast room, den, living room and formal dining room with original chandelier. Dry, cool cellar with great potential for wine storage. Bedrooms are large, with the master featuring an en-suite bathroom and his and her closets. Claw foot tubs and walk-in showers in the bathrooms. Bonus sitting and TV viewing area on third floor landing. Professionally landscaped yard with built in sprinkler system, screened-in side porch and front terrace with downtown views as well 4th of July fireworks! Two-car detached garage. Friendly neighborhood, sidewalks, and award-winning schools. The Cunningham home was built in 1910 by Joseph Cunningham. 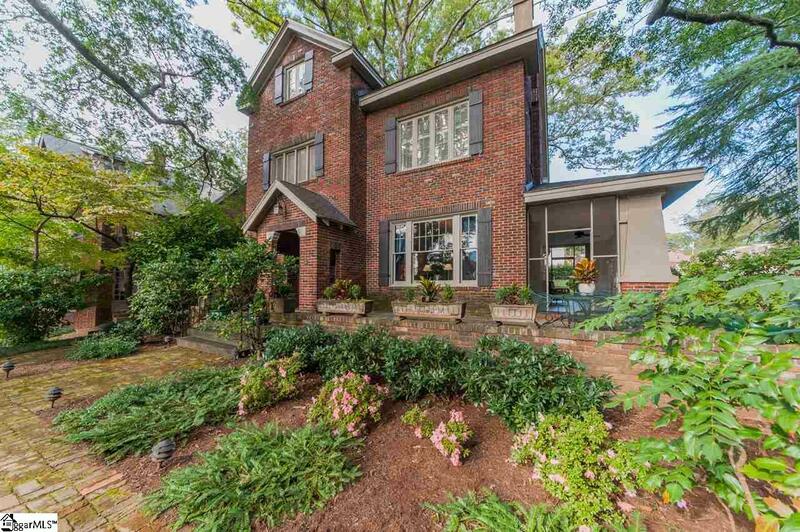 Joseph was a prominent architect of homes and commercial properties in the early 20th Century. 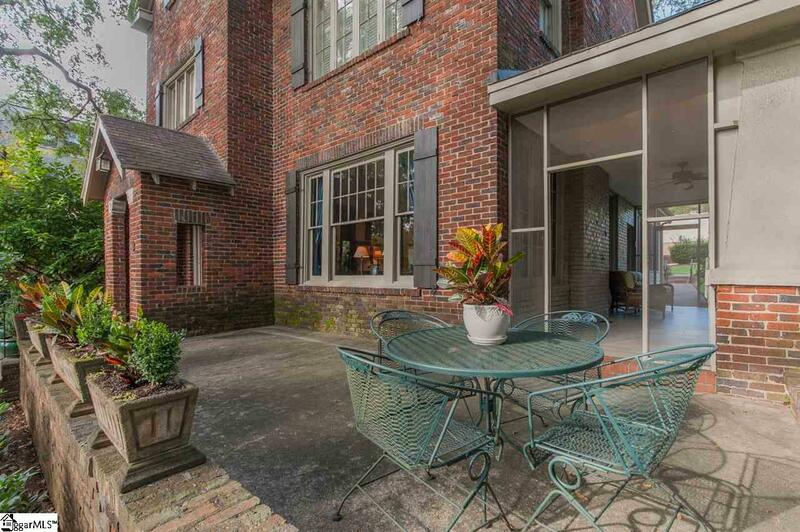 The home and neighborhood is listed on the National Historic register, along with many other properties he designed. 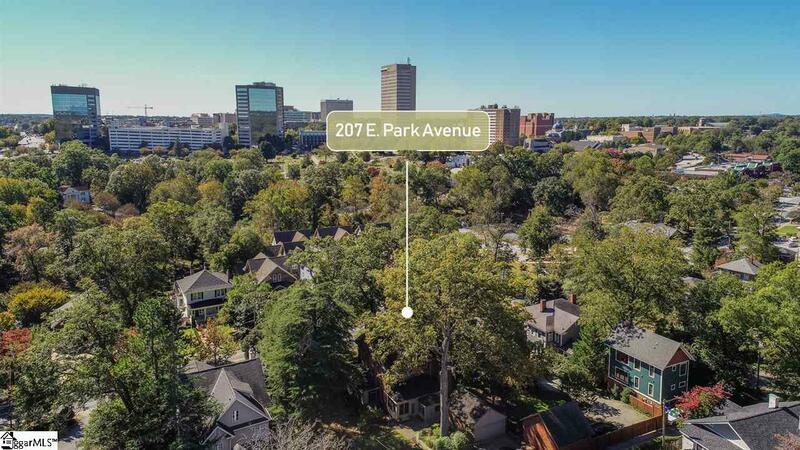 The Cunninghams and 207 East Park are mentioned in many Greenville history books and periodicals.